Obtaining Customers is perhaps the most challenging component of any business. You worked hard to get your California Contractor License. Thankfully, most entrepreneurs like you start their business with a handful of potential leads right off the bat. But if you don’t have any, or if they are drying out, there are many ways for you to find additional construction leads. You may have looked into the best way to market your services, and found a few options. Everyone pretty much agrees that word of mouth marketing or Referrals are two of the best ways to find customers, assuming, of course, previous customers are talking about your business. Others will recommend SEO marketing, Tradeshows or Networking. These methods or marketing are encouraged by construction companies because they work! However, these methods are shown to work since a customer is searching for your particular service. They have a project that they believe has to be done by a professional like you. For instance, say a potential customer is interested in remodeling a portion of their home. The first thing they will do is talk to any of their friends that recently had a remodel. Then after getting a few opinions, they may search for “Remodeling Contractors” using Google, and during this process they will try to obtain several quotes from contractors they think they can trust. Lead Generation Tools are no different. What are Lead Generation Tools? They are tools that help a potential customer find pre-screened companies that specialize in the project they want to do. Using the tool, they request a quote online, and contractors can submit their estimates to complete the project. Some of the tools will charge you for each lead, others will charge you when you send a quote, and a few others charge a monthly fee. Below we have created a list of 15 Lead Generation Tools that can assist you in finding more customers. We have included a column on the right to specify if the tool is Monthly, Per Lead, or Per Quote/Bid. You will also notice a $, $$, and $$$, these are intended to designate how expensive the tool is. $$$, of course being the most expensive. Finally, you should also take a look at Local Listing Sites(Yellowpages, Yelp, etc): Download our FREE Local Listing checklist to get started or use a service like Neustar to submit your site to hundreds of local listing sites. Now that you have your California Contractor License there are many solutions to help find customers. Of course, these 15 are just a few of the options out there that you can use, and they are only one method out of the numerous options out there. Lead Generation Tools are only one strategy that can provide you with access to hundreds of quotes. Provide some value to your potential customer. Provide them with helpful information. Show them the quality of your work using video, photos, and testimonials from your clients. Indeed, the same approach applies to Social Media. Provide value. As you win more bids, you will discover that it is challenging to remain organized like it was when you were working on fewer projects. Since we have been focusing on Marketing, skillfully managing the projects you have, is another manner of marketing in itself. 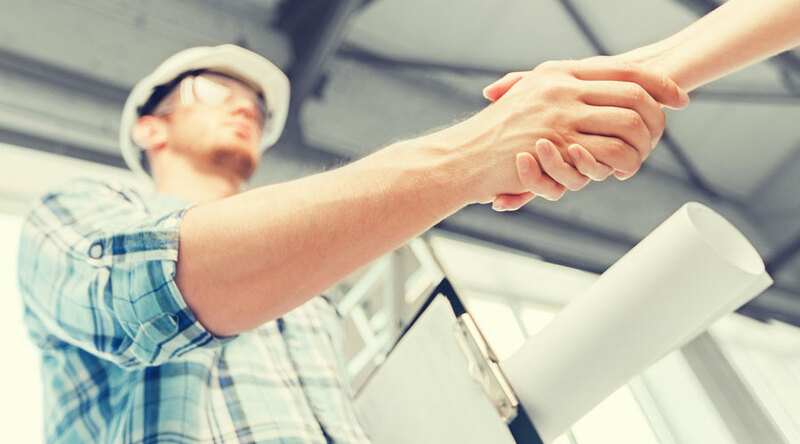 The quality of your construction, and how efficient you are at completing projects, in the long run, can produce the referrals you need, without significant marketing effort. How do you improve the quality and efficiency of your projects? You need to get organized. You need to create a plan. You need to be able to access what you organize, and review the plan while at the job site. 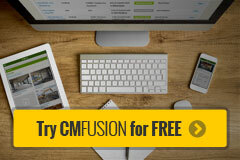 Cloud Services like CMFusion can help you do this. With CMFusion, you can organize all of your project documents including quotes, permits, licenses, contracts, change orders, receipts, and review the agenda concerning your project(s). The purpose of CMFusion is to help streamline the project(s) you are managing, using the cloud, so everything regarding your project is readily available out in the field, or in the office. With strong marketing and software like CMFusion, you can prevent the bottlenecks that often plague businesses not prepared to grow.